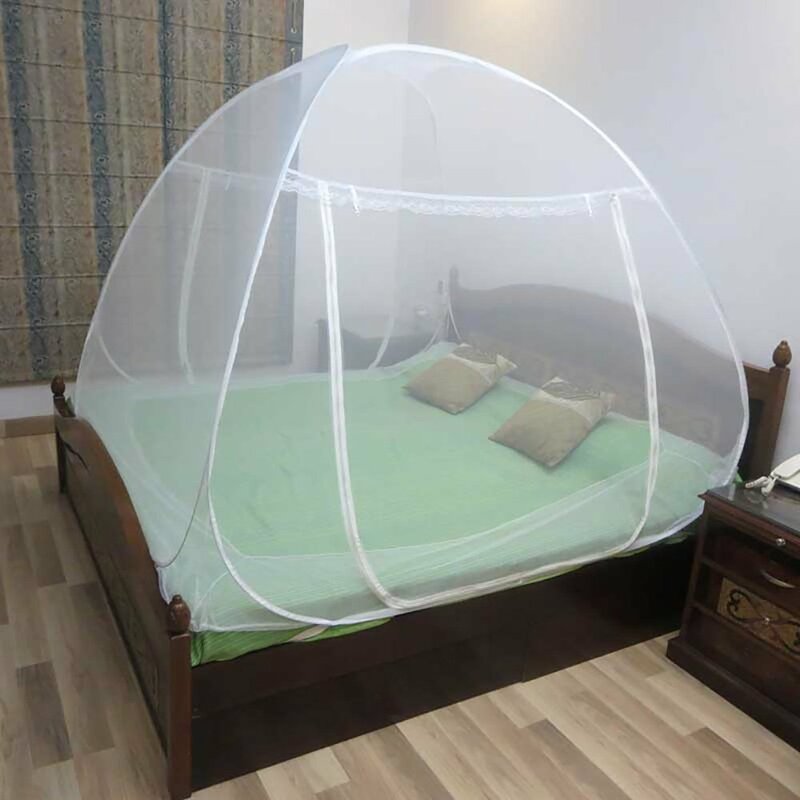 Healthgenie double bed mosquito net (white) Healthgenie double bed mosquito net gives complete protection from mosquitoes, flies and insects. Made up with polyester fabric and fine mesh ensures it to be a quality product. It restricts the entry of flies and mosquitoes which gives a pleasant sleep to you and your child as well. Being spacious it covers the double bed easily. It has 2 large zipper gates which allows easy entry and exits. Its easily foldable facility and being light weighted makes it easy to carry and install any where quickly. Availability of net in different colors gives people a choice to choose according to the décor of the bedroom. stylish, spacious, different colors makes it a product which can be used to enhance the décor of house as well. Being easily washable it assures that you get a clean ambience to sleep in and enjoy the pleasant sleep. Features Protection Package: Indeed it a full protection package which doesn't allows mosquitoes or flies to enter through it as well as prevents you from the diseases which can be caused by mosquito bites as well. Comfortable Sleep: Finest mesh of the net doesn't allow flies or mosquitoes to enter through it so no mosquito bites no mosquito sounds and a pleasant ambiance to sleep in. Therefore it gives a comfortable and pleasant sleep. Light Weighted: Being very much light weighted makes it easy to set-up and uninstall as well as it can be taken anywhere where while travelling as well. Foldable: Its feature of being foldable makes it easy to install and uninstall as well as it can be easily placed in a bag and can be carried anywhere and can be setup within seconds. People can use it at their homes as well as can carry it on various outings as well.